Properties in Campbell County average 4.8 out of 5 stars. Property 4: Dreaming of your summer vacation? Property 5: "Onawim" Lakefront Cabin! Cozy setting, private boat slip and swim platform. Property 23: Newly Renovated, Rustic Style Cabin! Property 28: 22' pontoon available for rent. 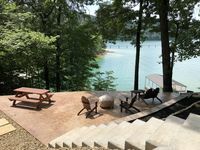 Property 44: Secluded Lynch Hollow Lagoon Cabin 2018 !! 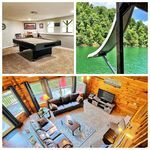 Property 46: The beautiful Sundance Lodge log home in peaceful cove. Paddle Board included! Property 48: Beautiful Lakefront with private dock, hot tub, seconds from ski water & marina.